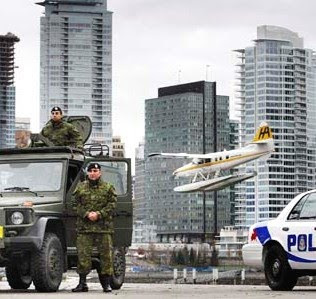 The Vancouver 2010 Winter Olympics will be the largest security operation in Canadian history. It will include more than 15,000 Canadian Forces, private security personnel, along with the RCMP and other police agencies. The U.S. will also provide security and support for the Games. With the Olympics fast approaching, the fear of terrorism is back in the public’s psyche. Although there has been no specific threats to the Games, more than anything, it is the danger of terrorism which is used to justify the huge security operation. This is further advancing the militarization of North America and U.S.-Canada military and security integration. The Olympics will take bi-national security cooperation to a whole new level. Unmanned drones are patrolling the U.S.-Canada border as part of the war on terrorism and to curb smuggling, along with drug trafficking. It is unclear if they will be used for surveillance during the Games, but U.S. Customs and Border Protection spokesman, Juan Munoz-Torres has stated that, “If the RCMP or Canadian government believes they can make use of the aircraft for support during the Olympics, we will be more than willing to provide it.” In Afghanistan, Pakistan and other parts of the world, armed American drones continue to carry out strikes against suspected terrorists and insurgents. It is interesting that many of the weapons used in the war on terrorism overseas are later deployed for domestic purposes. The use of unmanned drones on the northern border will only add to the further militarization of North America. 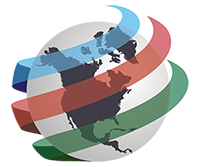 NAFTA has extended from economic integration into a political and regional security pact which has been achieved through the Security and Prosperity Partnership (SPP) of North America, Plan Mexico, as well as other initiatives. Various pieces of legislation and reports, along with influential individuals have called for closer trilateral cooperation regarding common rules for immigration and security enforcement around the perimeter of the continent. A major part of the U.S. security agenda already includes the defense of North America, but a full blown security zone would bring Canada and Mexico further under its control. A Fortress North America poses a serious threat to our sovereignty and would mean the loss of more civil liberties. Plans for a North America security perimeter might have seemed like a pipe dream just a short time ago, but it could become a reality sooner than one thinks. Some believe that a perimeter approach to security would be a more effective way of providing safety while ensuring the free flow of trade and investment. For those pushing for deep continental integration, this move is seen as the next logical step. A recent article from the Toronto Star, Canada warms to idea of a tougher 'perimeter' suggests that Canadians might now be ready to debate the concept of perimeter security. David Biette who specializes in U.S.-Canada relations and is a member of the Woodrow Wilson Center stated that a, "Perimeter is no longer a dirty word. It's beginning to come up again, at least in academic circles." He went on to say, "Canada held back when it first came up and I can certainly understand why. There was still such bad feeling left over on free trade and what that might mean for Canadian sovereignty that perimeter security was just not palatable to Canadians." Biette also added, "You ask yourself, 'What would a mutually improved relationship look like?' and really, there is nothing else. Perimeter is the one big thing – the last truly huge step on the horizon." 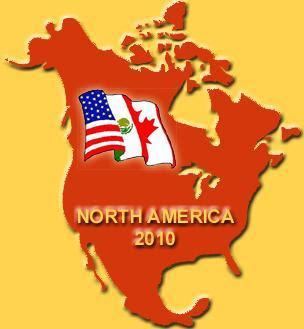 A North American security perimeter would be one of the final steps needed in the creation of a North American Union.